I’ve been threatening whoever would listen that I was going to dye my hair red for months now. What can I say, when I get antsy or depressed or bored I have to do something to myself; my hair just happens to be the biggest loudest target. 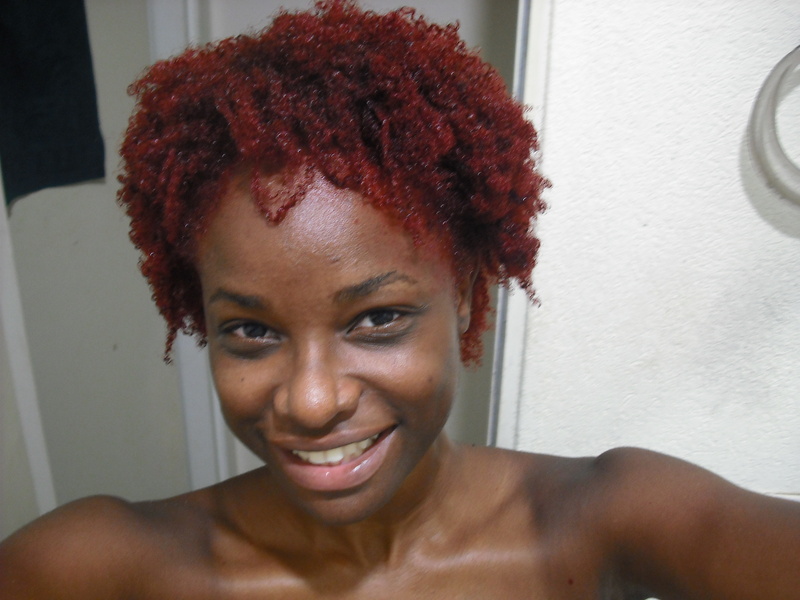 The type of red I was going for was kool aid candy red; not so much an actually occuring human hair color red. Nevertheless, I figured I would start small and work my way up which brings me to the Ruby Rage hair color. Believe it or not I was standing in the store holding two types of blonde before I finally settled on something in the red category and resigned myself to potentially having to give my hair a rinse in order to get the candy color I want. … I definitely prefer the color I had while the dye was in! After I washed the dye completely out of my hair this is what I ended up with( sorry but I took the photos after they were already cornrowed). It’s still very auburnish, like a mix up between a auburn and a burgundy. As I am one to wear my hair pulled back, I don’t really like the patch dark brown that I have going on since it creates a very uneven look. When my hair is in a fro it’s ok but as I rarely do that I’ll have to deal with it quickly. I am definitely going to dye my hair over in my quest for my perfect red but I’m not yet certain what strategy I’m going to take. On another note, I loved the texture hair I had when the dye was all coiled up. I wish I could find a hair product which simulated it. Check out part II to this and see the actual color I got. hey how many boxes did you use? I’m gonna dye my hair with this. How long did u leave it in? Maybe if u let it sit longer it would have been reder. I used the same dye and had pretty similar results. 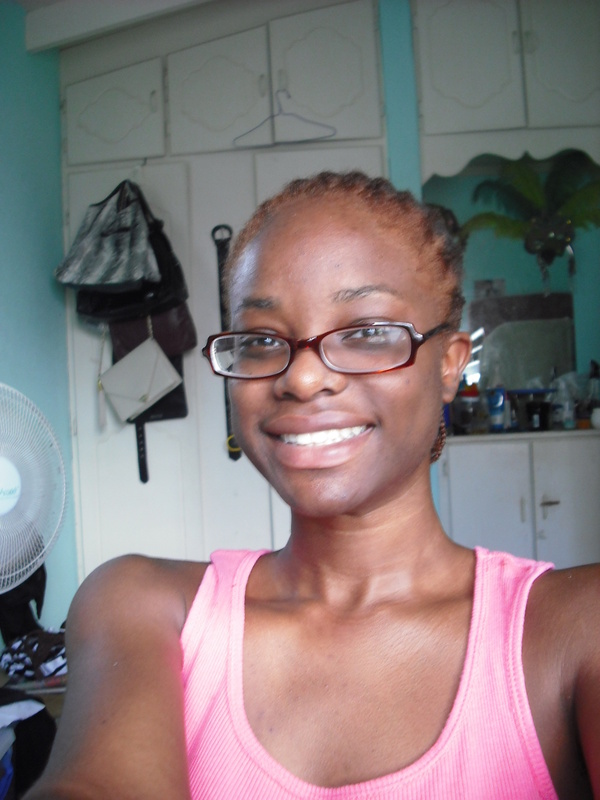 I also loved how my hair looked with the dye in and wish there was a product to simulate it lol. The trick is to mix your desired color with the lightest blond color. Then you get the color you desire. I just mix the two boxed colors in a 99cent squeeze bottle. Use equal parts of course. Good idea thanks!… I was just about to foray into dye mixing myself…stay tuned for my next hair color! Hi! I was googling this hair color to show a coworker when I noticed that you are also looking for a product that gave you hair the look that the color gave you while it was in your hair. Well, I work a Trichologist, Lisa Akbari who has a product that I believe you’ll be interested in. 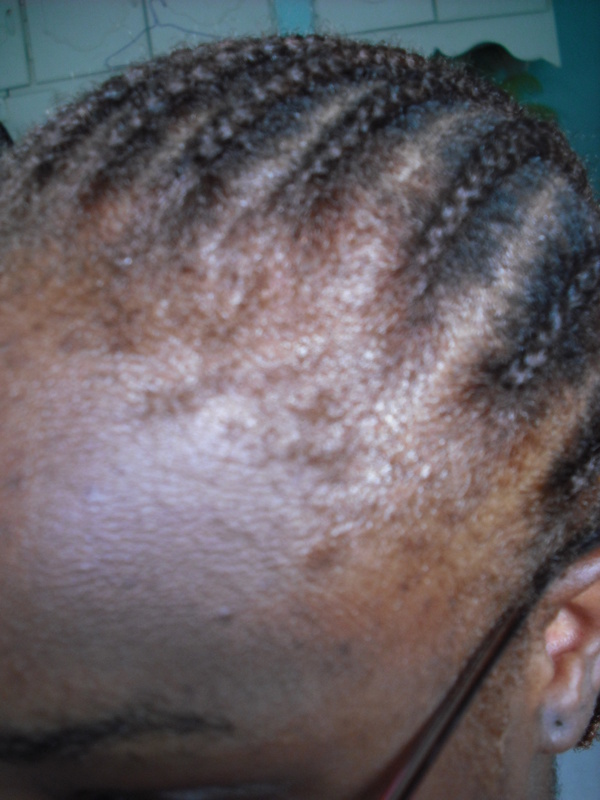 The product is called Naturally Textured. It gives your hair the textured look without the chemical. You can go to http://www.lisaakbari.com to check it out or feel free to email at tyra@lisaakbari.com I’m one of her consultants and I’ll be glad to answer some of your questions. Man I’ve been looking for a perfect red that looked good on black women because I want red hair for my birthday. Im glad you posted pictures so I could actually see how it comes out. It looked great! However I am kind of concerned about the dye doing that to your edges. Hopefully my hair comes out like the first picture. OMG I used the same color. I love it. Looks great on you. That so cool. Do you have any pics of ? Wow! U really did it! I gotta see it in person.